The Dark Truth Behind Nutritional Supplements: Are They Actually Making Us Healthier ? Nutritional supplements have risen in popularity over the years and the distribution of these products are highly demanded all over the world. Whether you take supplements to lose weight or to make it a substitute for your daily nutritional needs, there are no shortages in options for you. If you are unhappy with your current product, you can always just move to the next one – at least, that is the ideology for many of us. It also helps that the marketing strategies of these products are highlighted with the promises and benefits that they can give consumers. 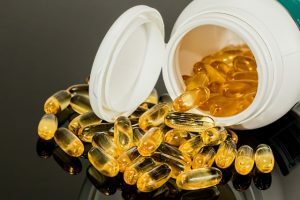 Weight loss, decreasing cravings, slowing down fat production and disabling the ability to absorb fat are only a few of the promises that some nutritional supplements present. Thus, those of us who desire to lose weight or maintain the weight we have without the need to eat a full, heavy and complete meal every time, turn to nutritional supplements for this reason. In a perfect world, or shall we say a perfectly healthy world, there are recommended amounts for nutrient intake on a daily basis. When you were younger, you learned about the “go, grow, glow” food, and as you grew older, you learned about the specifics of the food pyramid. The recommended daily nutrient intake varies by age, weight, height and other health factors that can be assessed by seeking your doctor’s assistance. That said, in a perfectly healthy world, the recommended daily nutrient intake for you should be taken in the form of natural food. However, there are many ingredients that you can add to your recipe that will provide other benefits such as, garcinia cambogia and apple cider vinegar for weight loss. This means supplements – not matter how natural and nutritional they appear to be – are basically not natural and therefore not the best option. Diet pills and supplements contain ingredients and herbs that meet the basic nutritional needs of your body. By taking these supplements, you are completing your body’s needs without the need to eat complete meals. This is a very effective weight loss program, but has been a concern of many health organizations. If you encounter any of these symptoms, it is important that you seek medical attention right away. You should stop taking these supplements, as they may have negative effects on your body. Rimonabant. This substance that suppresses appetite is controlled and not approved for distribution in the US. Phenolphthalein. This drug is undergoing experiments and is known to possibly cause cancer. Sibutramine. A weight-loss drug that increases the risk of high blood pressure, stroke and heart attack. Phenytoin. This is an anti-seizure substance. The whole point of the matter is: too much of something is not good. In this case, it is not a question of the amount, if it is too much or too little, it is the question of whether your body is attuned to the nutritional supplements you are taking. Is it really necessary? Is it the only way to achieve your health desire? Because apart from all this, nothing will always beat the natural ways of staying healthy, and if you can stick to that, then there is no need for supplements. Learn more about supplements and health. Use your Udemy promo codes to take the courses you like. These kinds of courses will help you to get insight knowledge about the health supplements and their effects on health. You can also find many other discounted coupon codes from couponretailr for various courses which will help you to gain desired knowledge about Nutritional Supplements. These coupons help you to take any classes you like at a lower price, and we encourage you not to miss this wonderful opportunity!